The thirty-sixth edition of the Bahamas and Caribbean pilot guides are now available as either spiral-bound book or iPad app. Updated annually by Pilot Publishing Inc., the guides—one for the Bahamas, and one for the Caribbean—present information culled from each country’s Civil Aviation department, local authorities, and contributing pilots. Airport pages feature information on runways, frequencies, navaids, fuel availability, fixed-base operators, Customs and Immigration, and more. The Bahamas Pilot’s Guide includes information on all of the islands of the Bahamas. 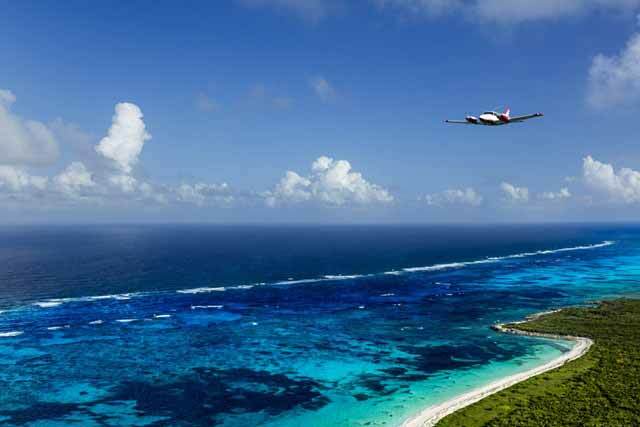 The Caribbean Pilot’s Guide includes information on Caribbean islands ranging from the Turks and Caicos to Aruba, Bonaire, and Curacao, Belize, and Barbados. The guides are $34.95 each. The app is $29.99. Order online or call 760/775-1900.